amid his 99th birthday celebrations. Like previous years, the day will be celebrated as the National Children’s Day and it is a public holiday. Bangabandhu led the nation in every movement for his people, including the Language Movement in 1952, the Jukta-Front Election in 1954, the Movement against Martial Law in 1958, the Six-point Movement in 1966, the Mass Upsurge in 1969 and the General Elections in 1970. Bangladesh looks forward to celebrating Bangabandhu’s 100th birthday in 2020 although his physical presence is missed, but he lives in the hearts of millions. Ruling Awami League has chalked out a two-day programme to mark the day in a befitting manner. On the eve of Bangabandhu’s 99th birthday, President Abdul Hamid and Prime Minister Sheikh Hasina issued separate messages. 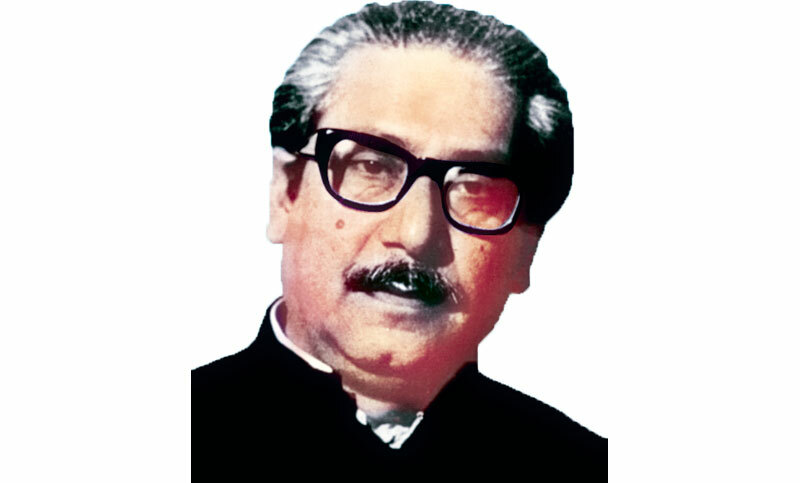 Both the president and the prime minister will pay tributes to Bangabandhu at his grave in Tungipara at 10:00 am. today amid a gun salute with the military bugle playing the last post. As per the schedule, Prime Minister Sheikh Hasina will receive a replica of the logo of Branding of Gopalganj District at the mausoleum of Bangabandhu at Tungipara in Gopalganj, besides, she will join a publication ceremony of book, sewing machine distribution ceremony, video screening of ‘Amar Kotha Shono’, discussion meeting on National Children’s Day. The premier will also inaugurate a book fair, join a photo session with children and also visit painting exhibition on ‘Bangabandhu and Bangladesh’. Before leaving for Gopalganj, Sheikh Hasina, also the president of the ruling Awami League, will place wreaths at the portrait of Bangabandhu in the capital’s Dhanmondi at 7:00 am. The Awami League will also hoist the national and party flag at all its offices across the country at 6:30 am. The ruling party will also organise a discussion at Bangabandhu International Conference Centre in the capital on Monday at 3:00 pm with its president Sheikh Hasina in the chair. The day will also be observed at Bangladesh missions abroad. Besides airing Bangabandhu’s historic March 7 speech, milad and doa mahfils will be held at mosques and prayer sessions will be held at other places of worship across the country seeking eternal peace of the departed souls of Bangabandhu and his family members. State-owned Bangladesh Betar and Bangladesh Television as well as other private TV channels and radio stations will air special programmes highlighting the significance of the day. National dailies will also publish special supplements on the occasion. Besides, cultural affairs ministry, Dhaka University, Bangladesh Shishu Academy, National Press Club, Dhaka Reporters Unity and different socio-cultural organisations have taken up various programmes to mark the birthday of this great leader.